Thomas R. Kendrick has accumulated 19 years experience as a trial lawyer. He has represented a wide variety of clients in Aviation Accidents, Construction Defects, Environmental Torts, Insurance Law, Oilfield Accidents, Premises Liability, Products Liability, Subrogation, Transportation Accidents and Criminal Matters. Tom has been admitted to practice in the State of Oklahoma, United States District Courts for the Northern, Eastern and Western Districts of Oklahoma, and The United States Court of Appeals for the Tenth Circuit. 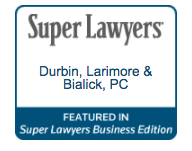 In 2017, Tom was recognized as an Oklahoma Super Lawyer by Super Lawyers Magazine. Tom is also a member of the Oklahoma Bar Association, Oklahoma County Bar Association, Defense Research Institute, Oklahoma Association of Defense Counsel, and Oklahoma Criminal Defense Lawyers Association.